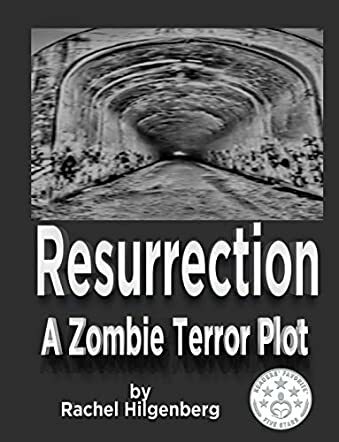 Resurrection: A Zombie Terror Plot is a horror story after my own heart. Written by Rachel Hilgenberg, the story has all the gore, suspense and desperation that have made franchises like Resident Evil so popular. It doesn’t surprise me that the author is an avid fan of AMC’s The Walking Dead. The story kicks off in Afghanistan where Huck is following a lead on the latest terrorist threat to the United States. He finds the threat but is also captured in the process. In the Taliban camp, he learns that a zombie apocalypse has been unleashed on the world. He has to beat impossible odds to survive. And with him is a scientist, Farique, possibly the only man who can cure the deadly virus before it wipes out the living. Meanwhile, in New York the undead have brought the city to its knees. A small group of survivors battles to find a way out of the city. Rachel Hildenberg’s Resurrection: A Zombie Terror Plot is one of the best zombie novels I’ve read this year. The zombies are man-made and are what we’re used to seeing. And there the cliché ends. The main characters are just amazing! I loved them, cried for them and sometimes wished I could drag them out of the pages and choke the life out of them myself. The fact that the attacks start on Halloween was truly a stroke of genius on the author’s part. Let’s hope terrorists are never so diabolical as to pull the Halloween prank to end all pranks. Sometimes the suspense almost killed me (literally). I’m lucky that I don’t bite my nails otherwise I might have been left with stubs. The book ends on a wicked cliffhanger that will leave the reader wanting more. I certainly wanted to continue reading. But alas we can’t have everything. I hope the author won’t wait too long before continuing the story.